Rain or Shine! 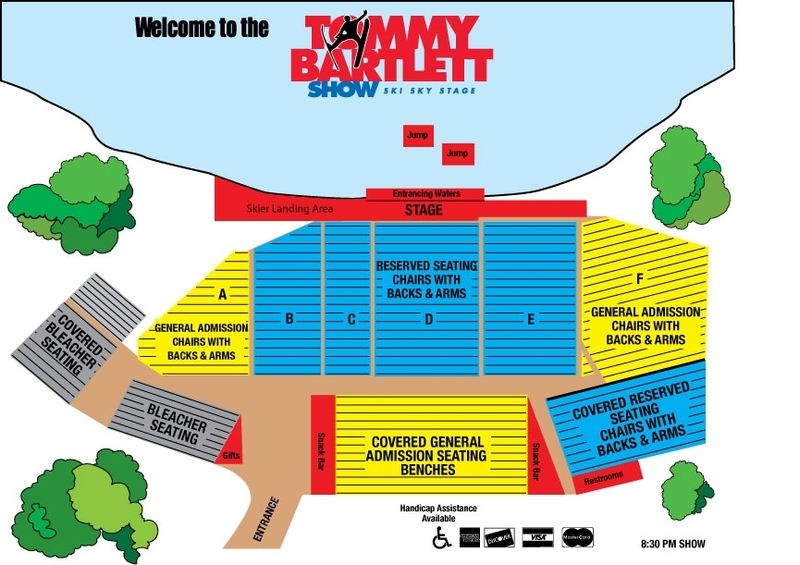 “It’s Show Time, Tommy Bartlett Show Time!” Tommy Bartlett Ski Show Performances run daily from Memorial Day weekend through Labor Day weekend. Find a seat in the sun or relax in the shade. Reserve your tickets and showtimes online today or just walk in. But most importantly, enjoy this amazing Wisconsin Dells Show! Click here to view Tommy Bartlett Show 8:30 p.m. Seating Chart. Click here to view Tommy Bartlett Show 4:30 p.m. Seating Chart. 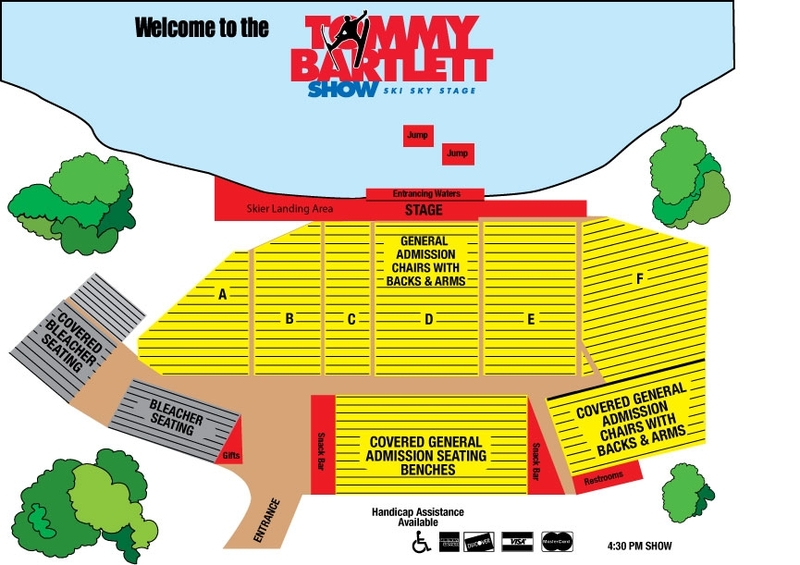 Click here for printed directions to the Tommy Bartlett Show. Tax not included. Children ages 4 & younger are FREE if held on an adult’s lap. Group tickets are not available online. Call 608-254-2525 or email groups@tommybartlett.com for details. *Reserved seating is a chair with a specific row and seat number assigned. All other seating is first come, first seated.